Fresh off a disastrous Grammys' performance, metal band announces tour. 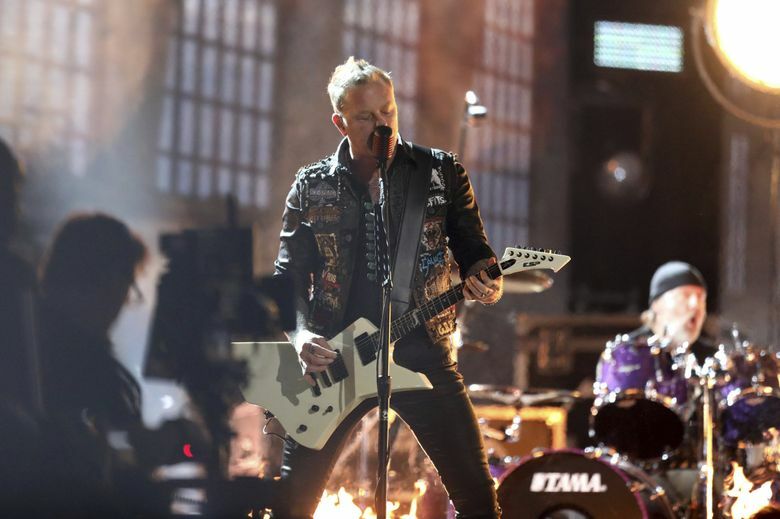 Fresh off a debacle of a performance at the Grammys on Sunday night, legendary American metal band Metallica on Monday announced a 2017 North American tour, the band’s first in eight years. The tour will bring them to CenturyLink Field on Aug. 9. The Grammys were a fiasco for Metallica. First presenter LaVerne Cox introduced Lady Gaga, who was performing with the eight-time Grammy-winning band, but failed to mention Metallica at all. As the band began to play, singer James Hetfield’s mic was not working. Hetfield made do by sharing a mic with Lady Gaga but was visibly angry and could be seen kicking the mic stand over at the end of the performance. Also troubling was that Megadeth, fronted by Metallica’s former lead guitarist Dave Mustaine, won the Grammy for Best Metal Performance, but as Megadeth took the stage to accept the award, Metallica’s “Master of Puppets” played over them. Ouch. Tickets for the “WorldWired Tour 2017” cost $55.50-$155.50 and will go onsale at 10 a.m. Friday, Feb. 17, via Ticketmaster.com or at 800-745-3000.